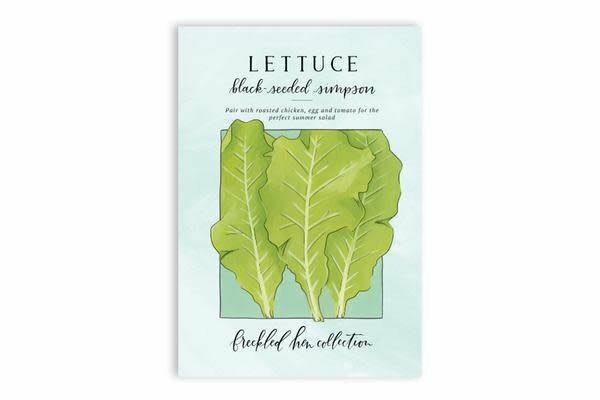 Grown for over 150 years, this lettuce is delicately flavored with beautiful ruffled green leaves that can be chopped for salads or used on sandwiches and burgers. Simpson is well-adapted to a wide range of climates and is best for early spring planting. Lettuce can tolerate cold temperatures and light frost, but hot summer temperatures will cause it to bolt. 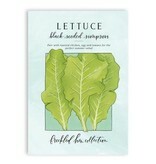 Where to plant :: Plant lettuce in an area with full sun to partial shade and moist, fertile soil. When to sow outside :: Directly sow or transplant lettuce in early spring as soon as the soil can be worked. Plant again in late summer for a fall harvest.